From what we've heard, most dinosaurs live pretty uninteresting lives. They spend their days wandering around the jungle, trying to eat smaller dinosaurs (and not get eaten by bigger ones), and sitting around wondering what will get to them first: a giant meteor crashing into the earth, or boredom. Not Yoshi! He spends his days living it up, playing tennis with his friends, racing around on MarioKarts, and occasionally saving the Mushroom Kingdom from danger! 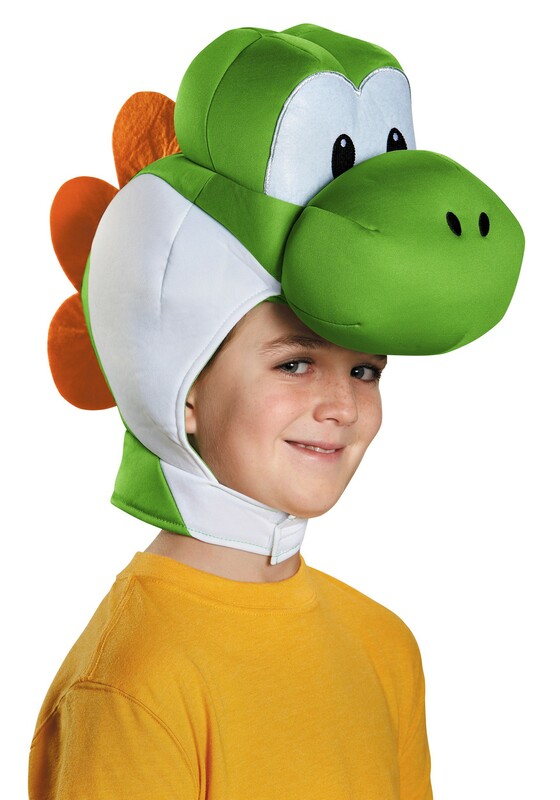 Your kid wants to hang out with the cool dinosaurs, and this awesome Yoshi Headpiece will turn them into the coolest lizard this side of the Rainbow Road! It's officially licensed Nintendo headgear, and is shaped to look just like the faithful sidekick in the Super Mario Bros games, with a velcro fastener to keep it snugly on your kid's noggin. Don't be surprised if they start trying to grab berries with their tongue like Yoshi does; that's just how cool dinosaurs eat!